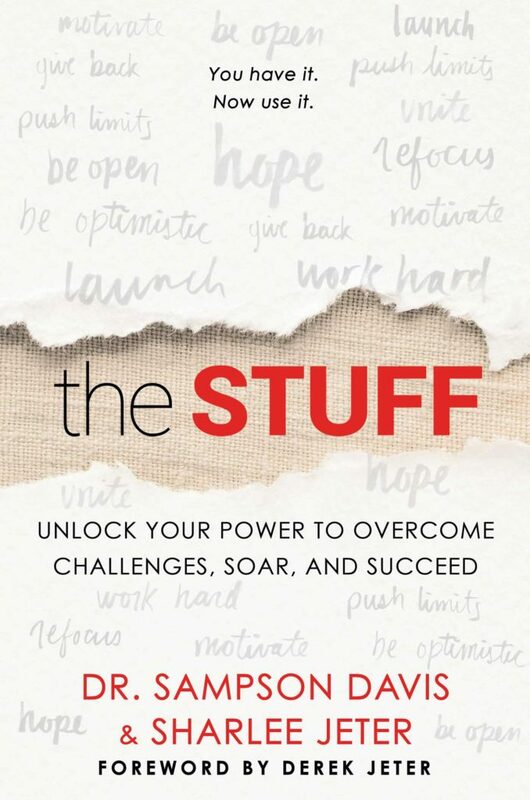 The Stuff [noun]: A cultivatable inner fortitude used by people to overcome obstacles, soar, and succeed. 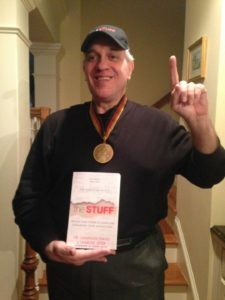 We are very excited that a story about AVIM inspriational speaker and author Rich Ruffalo will be featured in an upcoming book called THE STUFF. 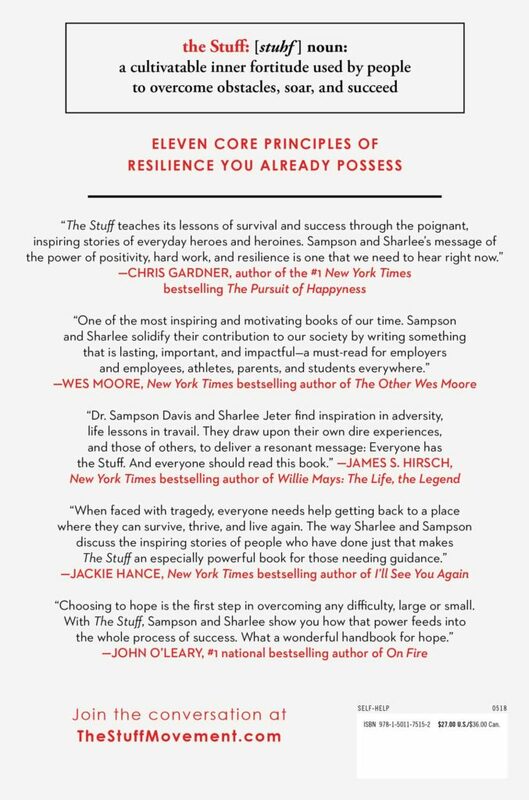 Written by Dr. Sampson Davis and Sharlee Jeter, THE STUFF is being released by Jeter Publishing, (an imprint of Simon & Schuster), on May 15, 2018 and presents a look at various individuals’ stories as examples of resilience through life’s difficulties. Filled with uplifting stories of people like Ruffalo, who persevered despite challenges and setbacks, this is the perfect book to share with anyone you know who might need a healthy dose of support or inspiration. Both Sharlee and Sampson have a deep history of community service through their Turn 2 and the Three Doctors foundations, respectively, and we were thrilled to learn that Rich Ruffalo was featured as a part of The Stuff Movement as contributor to the book. Survivors themselves, authors Dr. Sampson Davis and Sharlee Jeter have created The Stuff Movement, interviewing dozens of people to find the common threads that enabled them to triumph over their challenges, featuring stories about John O’Leary (On Fire), Mercy Alexander, A Vision in Motion’s Rich Ruffalo, Mindee Hardin, Glenn and Cara O’Neill, Sean Swarner, Traci Micheline, Wess Stafford (Too Small to Ignore), Austin Hatch, Debra Peppers, Christine Magnus Moore, Martha Hawkins, Ali Stroker (Glee), Susan Scott Krabacher, Deval Patrick, and more. 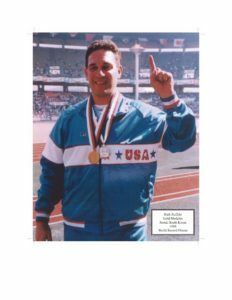 Rich Ruffalo is a dynamic motivator, author, educator, and internationally recognized athlete that inspires a wide range of audiences everywhere, from children to adults and students to business gurus. Ruffalo is a true role model for all ages.At age 32, Ruffalo lost his eyesight but never lost his“vision.” At the Walt Disney Company/McDonald’s American Teacher Awards, Ruffalo was named both the Outstanding Coach of the Year and the Outstanding Teacher of the Year of 1995. Vice President Al Gore presented the award to him on nationwide television. Ruffalo continues motivating every audience to a high level of inspiration while speaking to Fortune 500 companies, schools, and conventions. In 1994 he was selected as one of five educators from the United States to be inducted into the National Teachers Hall of Fame. Award, the Academy Award of Sports, as the nation’s most inspirational athlete of 1989. In 1994, he was also inducted into the National Italian American Sports Hall of Fame. Jersey’s Teacher of the Year.” In September of 1998, he was presented the Always Kids Hometown Heroes “Salute to Excellence Award” presented on TNT by the Quaker Oats Company as a role model for kids across the country. 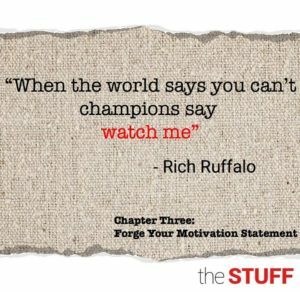 Rich Ruffalo is an inspiration and a motivator for everyone.